SODIUM COCOATE (COCONUT OIL), SODIUM PALMATE (CERTIFIED SUSTAINABLE PALM OIL), SODIUM OLIVATE (OLIVE OIL), SODIUM CASTORATE (CASTOR OIL), AQUA, GLYCERINE, SODIUM CANOLATE (RAPESEED OIL), SODIUM APRICOT KERNALATE (APRICOT KERNAL OIL), SODIUM SHEA BUTTERATE (SHEA BUTTER), SODIUM COCOA BUTTERATE (COCOA BUTTER), CITRUS NOBILIS (TANGERINE), CITRUS LIMONUM (LEMON), CAPSICUM ANNUUM POWDER (PAPRIKA), BIXA ORELLANA (ANNATTO SEED COLOURING) LIMONENE, LINALOOL, CITRAL, GERANLOL, CITRONELLOL (Within the essential oils). THESE SOAPS ARE 100% NATURAL AND HANDMADE IN SMALL BATCHES. SHAPE, COLOUR, SCENT, SIZE AND APPEARANCE CAN VARY SLIGHTLY BETWEEN BATCHES AND IT IS IN THE NATURE OF THIS PRODUCT. AS THEY ARE ALL NATURAL SCENTS THEY MIGHT NOT BE AS STRONG OR DEVELOP WHEN IN USE. 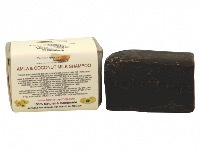 PLEASE KEEP YOUR SOAP DRY WHEN YOU ARE NOT USING IT, THIS WAY IT WILL LAST FOR A LONG TIME. Lathers really well! 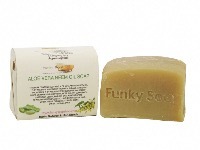 This is the second soap I have tried from Funky Soap (previously tried Lavendar) and loved them both. 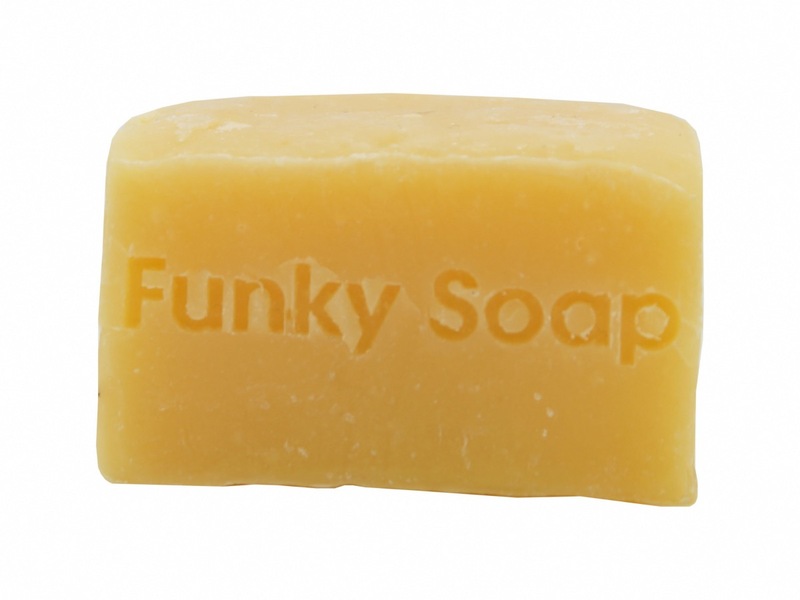 I had no transition issues with moving from liquid to Funky Soap bars (shoulder hair and was previously using sulphate free shampoo). 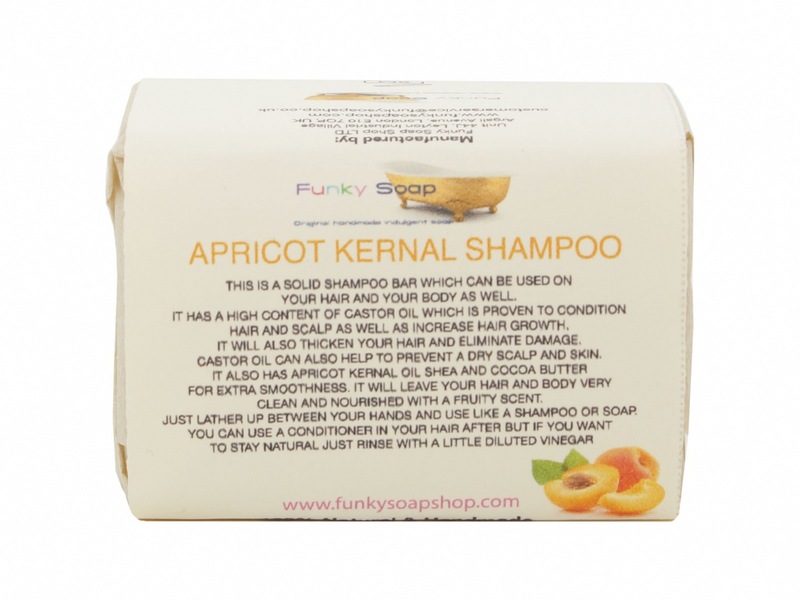 Would be reluctant to use another brand shampoo bar because Funky Soap bars work so well. Really lovely soap. Will last a long time, so great value. It's my first time with a solid shampoo, so I need to be used .. Anyway i'm happy at the moment! Thanks. Lovely products. Looking forward to trying more from the shampoo bar range. And helpful advice for newbies to the natural shampoo method. Second time purchased this soap, hair comes out squeaky clean much better than shampoo in a plastic bottle.